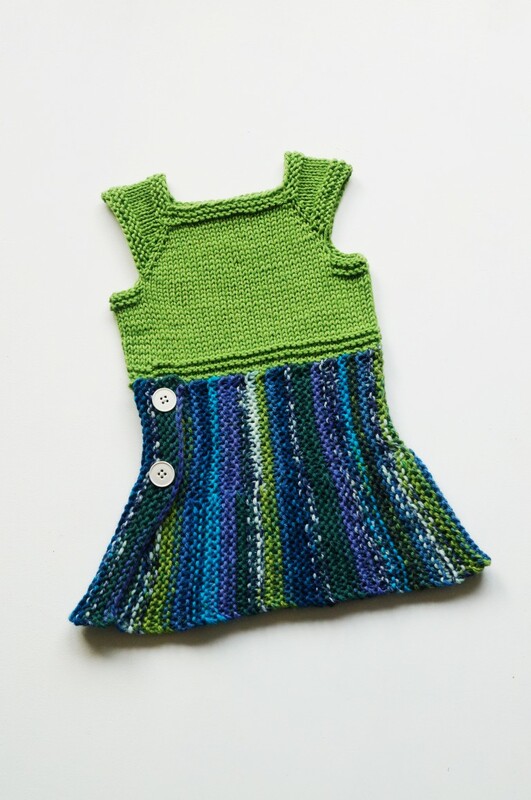 Wee and Warm in the Winter Winds – an intriguing dress or tunic for the smaller girls, featuring a top down raglan, and a short row skirt knitted sideways and knitted on as you go. 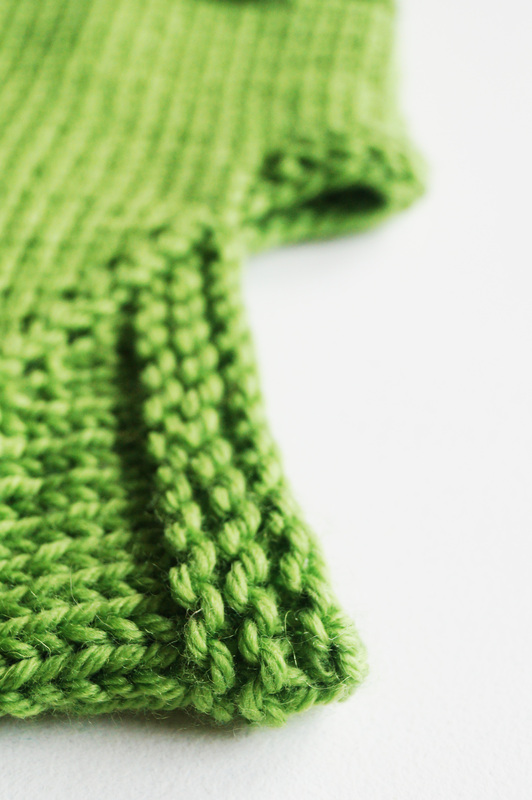 All edges are done while knitting, so when done, you’re really done! 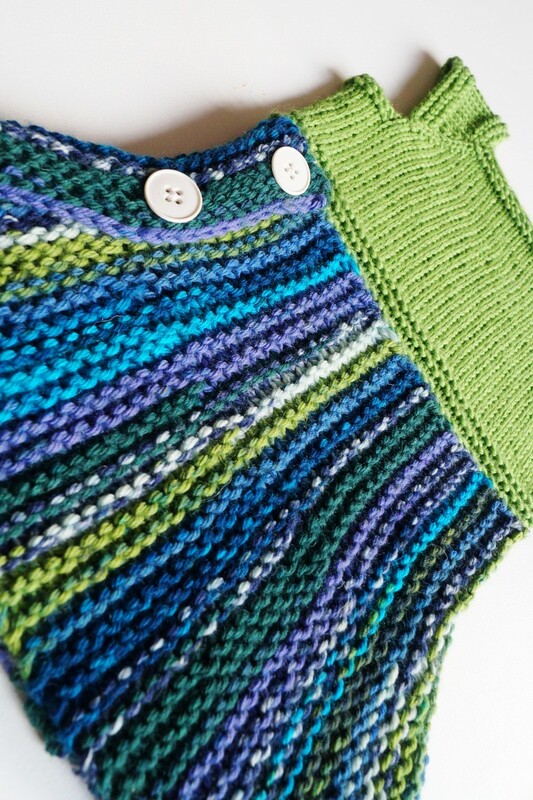 Worsted weight yarn turns this into a quick and relaxing knit, and you’ll be finished in no time! Note: Yarn estimates are for the tunic length. For the dress length, you will need more CC for the skirt. 5 mm Double pointed needles, if not knitting shorter circumferences with magic loop or short circular. Circular needle approximately 1 mm larger than yoke needle (you can also work the skirt on the same needle but with a slightly heavier yarn than you used for the yoke).